Join Salt Lake's fastest Growing synchronized skating program today! 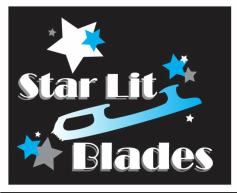 provide a fun, challenging, and enjoyable opportunity for all figure skating participants. its emphasis on team skating and understanding of basic edges and presentation. the sport, which skaters will need to be able to participate as a member of a team. compete in a sport that is growing rapidly. emotions of success and failure.